The We Heart Local Awards are back for the second year in a row. 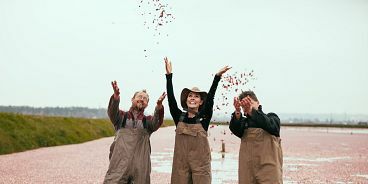 This is your chance to nominate your favourite BC grower, producer or business. Nominating and voting automatically enters you into weekly draw for a $100 gift certificate from BC Farmers’ Markets as well as a $20 gift card to Little Qualicum Cheeseworks. You’ll also be entered in the grand prize, which is a three night stay at Taku Resort and Marina, as well as your choice of a cooking course for two. Here’s how it works: head to weheartlocalawards.ca and pick a category. Choose from favourite local food, favourite sweet treat, favourite cheese-maker etc. Nominate your favourites before September 2nd, and then you’ve got until September 16th to vote for your favourites. Buy Local Eat Natural is an online destination for recipes featuring local ingredients, lists of retailers who sell local food and the stories behind our local farmers, producers and growers.